If you noticed a short outage today you are not alone, and with it comes good news! The folks at Lowes were busy pushing our a major platform in preparation of the release of version 1.7. The apps have not been released to the app store just yet, but you do not have to wait! There are new rules available right now, no app update required! The apps are due out in their respective app stores with Android available first, and Apple iOS within 1-2 weeks following app store approval. This is just the tip of the iceberg! Please inform us of any more newly discovered changes or new features! We have a small bit of good news for users of Iris 2.0. It’s no secret that the original Iris had a quirk where some devices, despite having no official support, would pair with basic functionality. Some of those devices could even be controlled with rules. So far Iris 2.0 doesn’t have any official generic device support, however as luck would have it there are similar quirks thanks in part to Centralite, the company that manufacturers hardware for several smart home companies including Iris and SmartThings. Lowes, in a promise to have Iris more open has officially expanded support on the V2 platform to include devices sold outside of Lowe’s retail channels. Initially, this support includes four SmartThings devices; Motion Sensor, Arrival Sensor, Power Outlet, and Moisture sensor, all of which are devices coincidentally designed by Centralite. The back panel of the PeQ Water Sensor packaging. A setup card is the first thing you will find inside the box. We purchased our test device off of e-Bay for less than $20, making this one of the cheapest sensors available for any system. Our package arrived a few days later and first impressions of the packaging were well, impressive. The quality of the box and lack of hard-to-open blister packaging are top-notch for a simple home automation device. Removing the outer paper wrapper reveals a plain black, Apple-Esque box made of heavyweight cardboard. 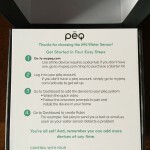 The PeQ Water Sensor inside the retail box. 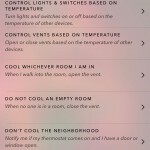 After removing the cover to the box the were greeted with a simple instruction guide on how set up the device with the PeQ home automation system. Since we are using Iris, we’ll just put this aside and get down to pairing the sensor. The PeQ Water Sensor has the same pull-to-pair tab common to Iris 2.0 devices. Pairing the PeQ Water Sensor, like other Iris 2.0 devices, is a simple task since the sensor uses the same, easy to use “pull-to-pair” method of initiating pairing mode that other Iris V2 devices use. 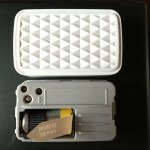 The first step to pairing is to remove the cover from the device by lifting up on the two clearly marked tabs on the bottom. Removing the cover reveals the familiar plastic tab that must be removed to pair the device. With the cover is open, we grabbed our mobile device and launched the Iris app to put the hub into pairing mode. Hitting the + and selecting a new device is all that is required, we didn’t need to step into the device-specific instructions with this sensor. 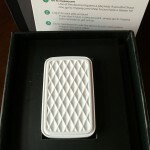 The PeQ Water Sensor pairs as a SmartThings Moisture Sensor. With the green LED flashing on the hub to indicate pairing mode was enabled, we proceeded to pull the tab from the device. This unfortunately was an exercise in frustration as the tab would not budge and ended breaking off. This necessitated the pulling of the battery to remove the remnants of the plastic tab and get the device into pairing mode. Once the battery was re-installed, the sensor paired with our V2 hub in a matter of just a few seconds. 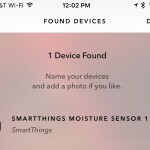 As we advanced to the device setup page, it was clear that the PeQ Water Sensor had the same lineage as the as other Centralite devices with Iris reporting it as a certified SmartThings device. Iris fully supports the PeQ Water Sensor with fully functional rules. 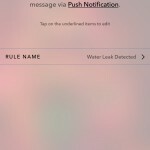 More good new; Iris 2.0 extends full support for all available rules to the PeQ water sensor as it does to the SmartThings Moisture Sensor and Utilitech Leak Detector. 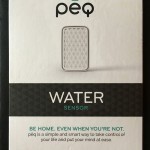 The underside of the PeQ Water Sensor reveals a pair of contacts that detect water. We were able to create and successfully test the rule to turn off our LeakSmart water shutoff valve when the PeQ sensor was triggered. We also successfully tested integration with the Iris safety alarm, triggering a water leak and having Iris alert us with sirens, calls, and push notification. 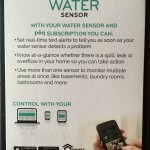 As Lowe’s continues to enrich the rule set behind Iris 2.0 it is safe (but not certain) to assume that any rules which are added to the platform will continue to support the PeQ Water Sensor. We put the PeQ Water Sensor to the test with Iris 2.0 in this short video. 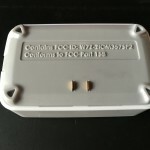 At a cost of around $20 each, half of the comparable SmartThings Moisture Sensor, the PeQ Water Sensor is the lowest cost water sensor currently available for Iris V2. If you are looking for a sleek and unobtrusive water sensor for Iris we believe the PeQ Water Sensor offers the best value of any device in it’s class.